A local bank was looking for a way to make it quick and easy for their mortgage brokers to send a personalized thank you to their clients. They wanted some control over the process to ensure their branding standards were consistent. 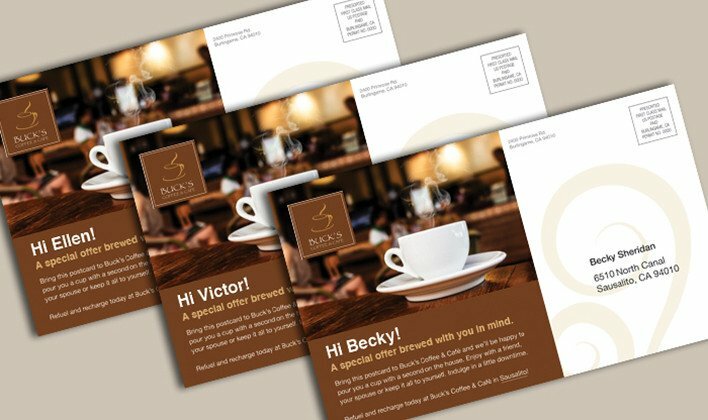 At Dynamark, we created a postcard template that included areas for personalization and loaded it onto our online ordering Web to Print solution. The mortgage brokers were then able to add their individual contact information along with a picture of their client’s new home and new address information thus creating a postcard their client’s could mail to family and friends informing them they had moved and showing them a picture of their new home. The card also allowed for the option of adding the name of the referring real estate agent and company. The brokers were able to quickly and affordably send a useful, creative thank you to their clients and by using our Web to Print solution and variable templates, the bank was able to have control over their branding.